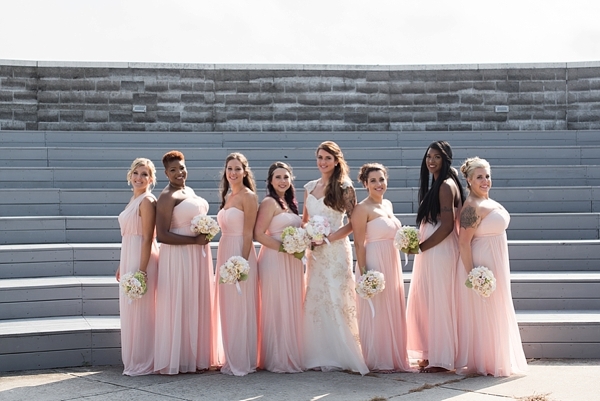 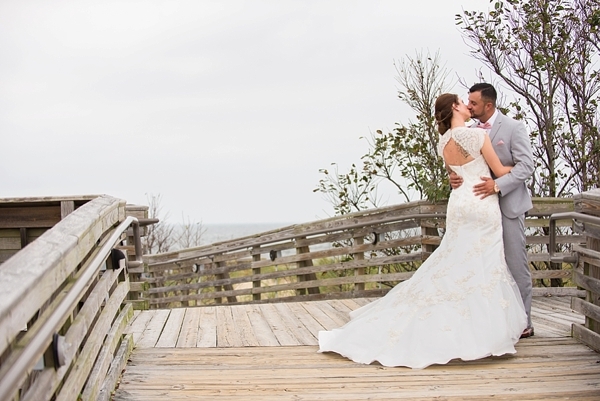 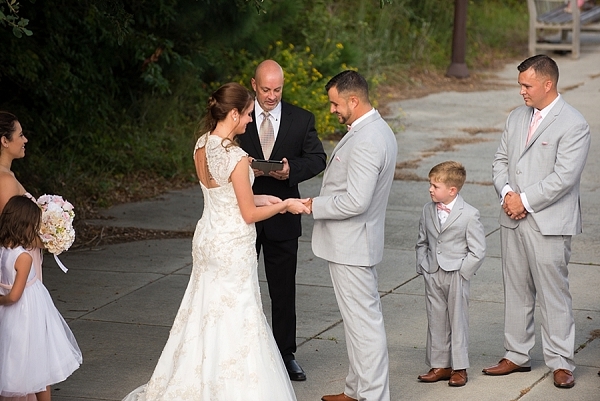 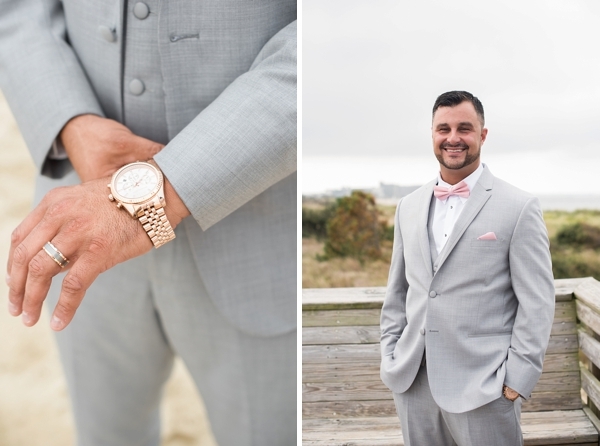 Orie and Jesse wanted their wedding day to be a fun celebration with family and friends, and First Landing State Park in Virginia Beach was the perfect place to do it with their on-site cabins and scenic spaces. 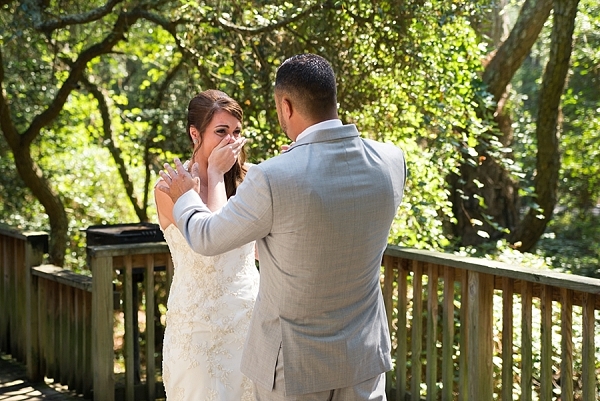 After getting ready in the cabins, these two lovebirds shared an incredibly emotional first look that will immediately tug at your heartstrings. 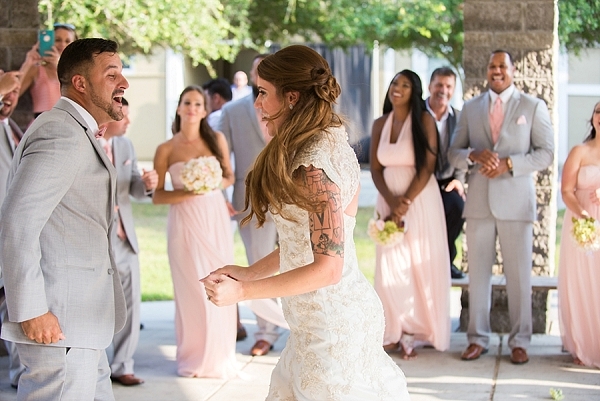 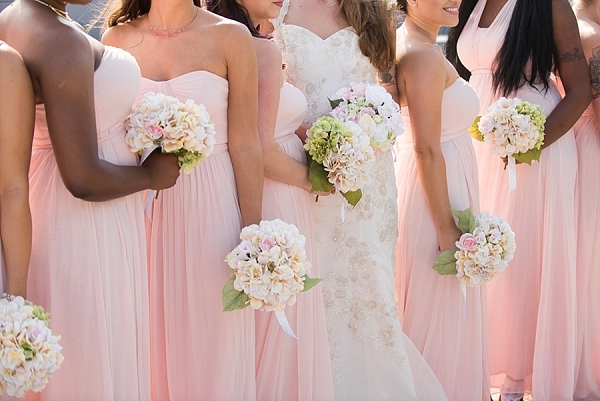 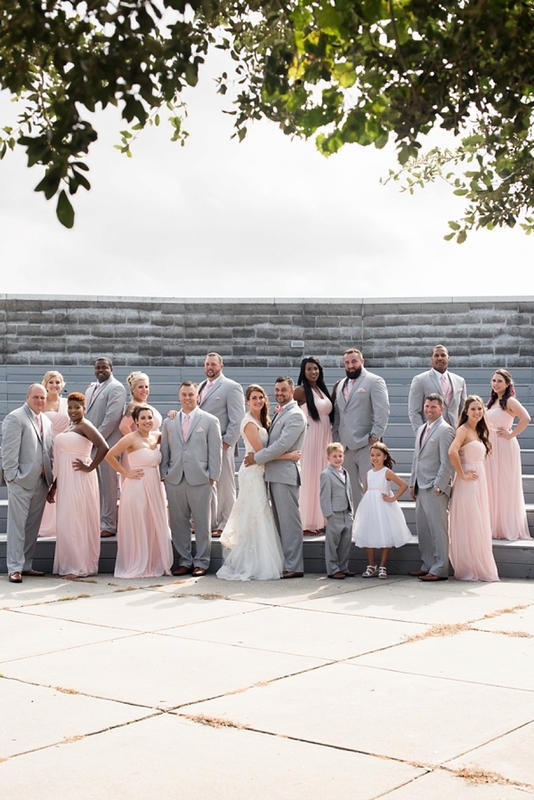 Just a few moments later, they moved across the street for a ceremony under a beautifully overcast sky and pledged their love to each other amidst a sea of pink, gray, and all the love of the people who cared about them most. 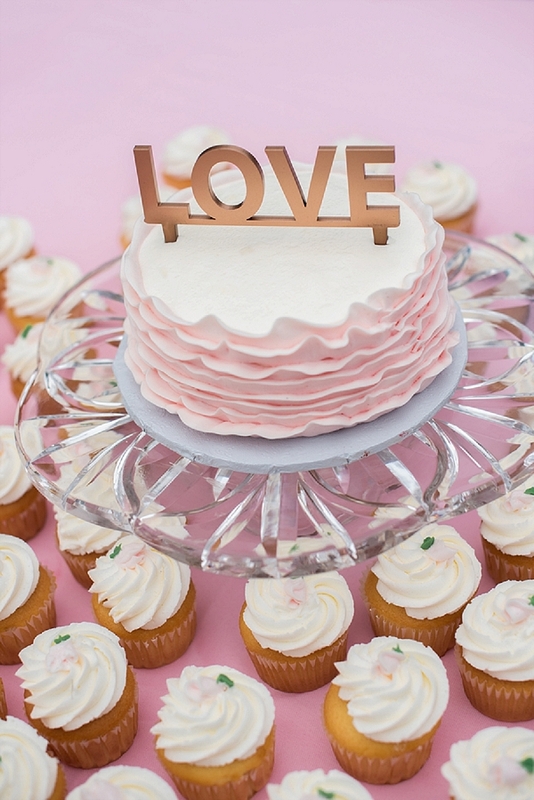 Captured by Caitlin Gerres Photography, a sweet ruffled cake with matching cupcakes greeted guests as they entered the tented reception area. 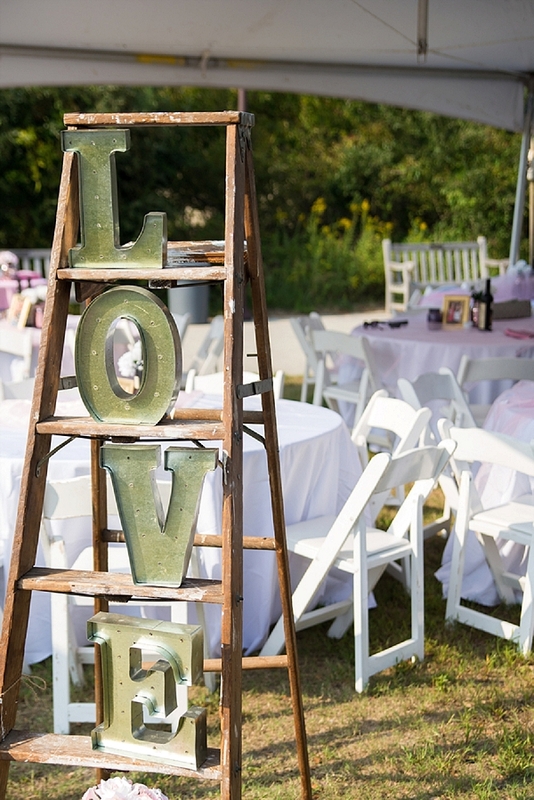 Tables were decorated with photos of the couple throughout their relationship and a vintage ladder with galvanized marquee letters that spelled out 'LOVE'. 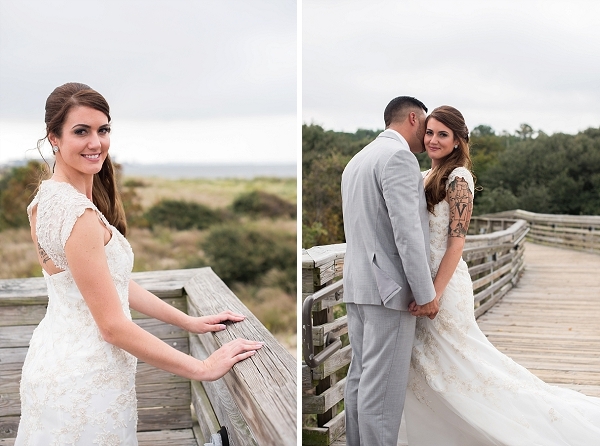 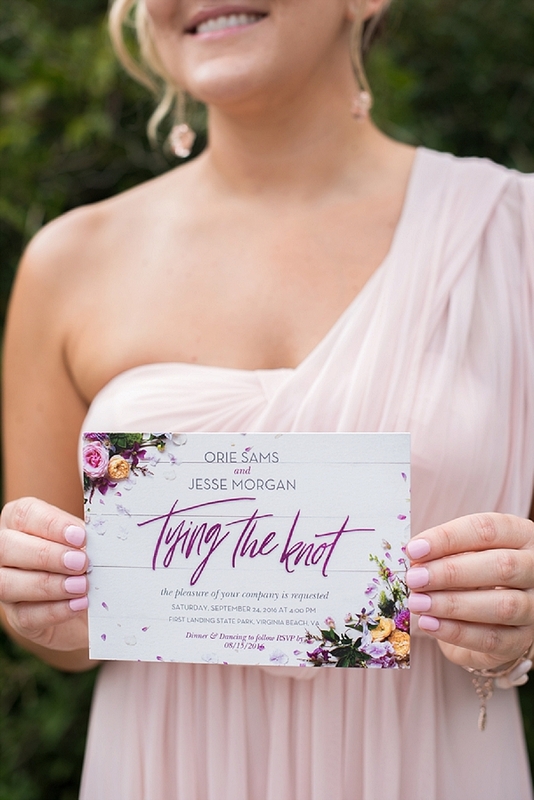 This under the stars wedding day was all about Orie and Jesse's journey together, and the beautiful future they would share as newlyweds.